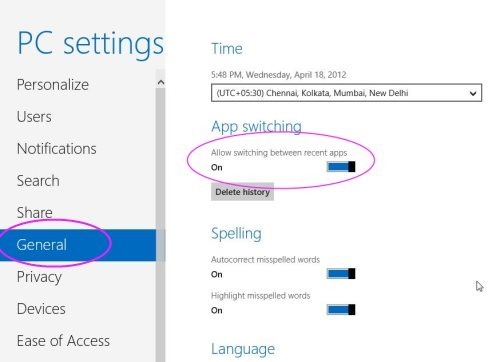 Switching Application in Windows 8 lets you switch between the opened Windows 8 Metro Apps by moving the mouse to the corner of the screen or by sliding your finger across the screen. 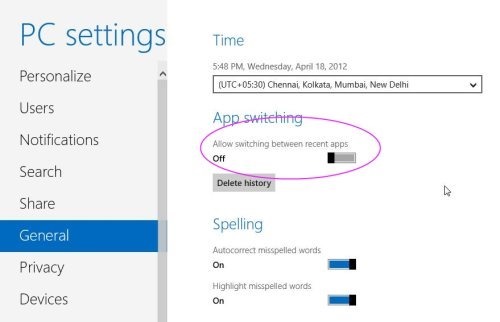 However, in case you are not comfortable with this Windows 8 action, then let me tell you…its very easy to disable application switching in Windows 8. But before that, also check out post on Windows 8 Editions. Press Win+I to launch the charms bar. 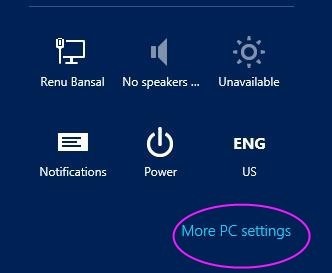 Click on “More PC settings”. 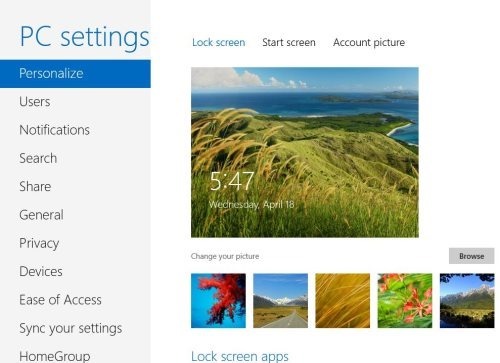 The latest Windows 8 Control Panel will get opened. You see a list of options under the “PC Settings”. Now, click or head over to “General” option. At the Right side of the screen, you will see the app switching is enabled as default. As you slide the slide bar, it will disable the feature. If you move to the top corner of your windows screen, you will never be able to switch between your recent apps. That’s all you are completed with the task…Go ahead and try out yourself…!